What Is ‘Gray Death,’ And How Does It Kill? A forensic chemist prepares a sample of the drug "gray death" to be weighed at the crime lab of the Georgia Bureau of Investigations in Decatur earlier this month. Amid Georgia’s opioid problem, a new drug has entered the market. “Gray death,” a cocktail of several opioids, was reported to have claimed its first death in Georgia last week. Despite efforts to curtail the spread of opioids in the Southeast, drugs are getting even stronger and more deadly, according to Georgia Bureau of Investigation public affairs director Nelly Miles. “We have never seen these types of drugs, and the potency of these drugs is unprecedented,” Miles said. According to DEA spokesperman Russ Baer, “gray death” is a combination of heroin; fentanyl and other fentanyl-class substances, such as Carfentanil, which is meant as a large animal tranquilizer. 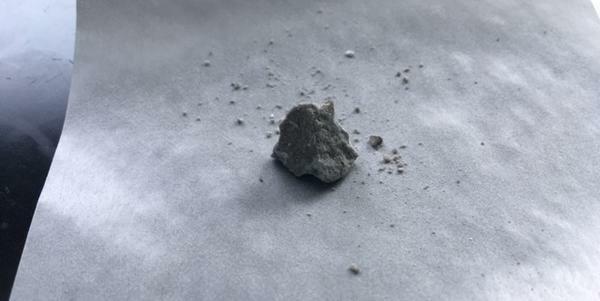 These substances are mixed in no particular combination and with specific additives that give the drug a gray, concrete-like color. Why is gray death so deadly? “You start with heroin which is deadly in itself,” Baer said. “Then you add fentanyl which is up to 30 to 50 times more potent than heroin itself, then you add some of these other fentanyl-class substances into that cocktail. There’s no wonder that people are dying. Dr. Lisa Ganser is a professor of biology at Kennesaw State University, where she runs a lab which studies the reward processes of the brain, as well as addiction. “With opiate drugs now, we have an artificial triggering of the rewards system” of the brain, Ganser said. “And the reward drive is so strong, it can override many things. Usually the rewards system is kept in check with other chemicals in the brain, but opioids have a special property which can inhibit those balancing processes, leading to dopamine flooding the system. How can an overdose kill? The medical purpose of an opiate is to slow down signals that tell the brain that pain is being felt. When used in excess, other senses can be slowed down, including autonomic senses that ensure a person is breathing or that keep the heart beating, to a point where the consequences can be deadly, Ganser said. Some of the drugs within gray death are transdermal in nature, according to GBI public affairs director Nelly Miles. This means that the drug can actually be absorbed through the skin, so even those investigating the drug must take measures to avoid accidentally suffering from an overdose. Lab investigators are now required to wear lab coats, goggles, masks, gloves and implement a buddy system when handling the drug, to ensure safety. Miles said that just one of the synthetic opioids in gray death has led to 22 overdoses between 2016 and 2017 on its own. How is Georgia combating gray death? Miles said that the GBI first identified the substance in its lab in March. Miles said that GBI is tracking the drug and partnering with other law enforcement agencies to get ahead of the drug. Where are these drugs coming from? The drugs are created in places like China and Mexico, and are either shipped across the sea or smuggled over the border, Baer, the DEA spokeman, said. From there, “the supply chain takes over,” he added. To combat this, the DEA is issuing public health warnings to law enforcement and first responders, and has released awareness materials to the law enforcement community. How can someone affected by gray death get help? Both Baer and Miles said that the best thing to do for someone affected by opioid addiction is to utilize the resources that agencies across the state have made available, such as treatment centers, support groups and the like. “Don’t experiment,” Miles said. “Don’t attempt it, even if someone says ‘you know this is the new drug and it’s not as bad as they say’.